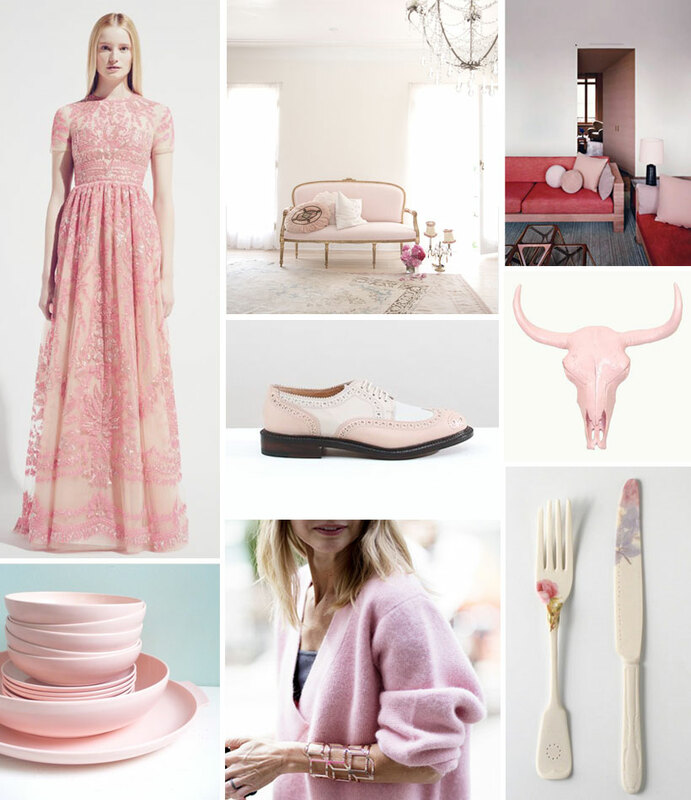 Blush is trending. (In my mind, if not anywhere else.) 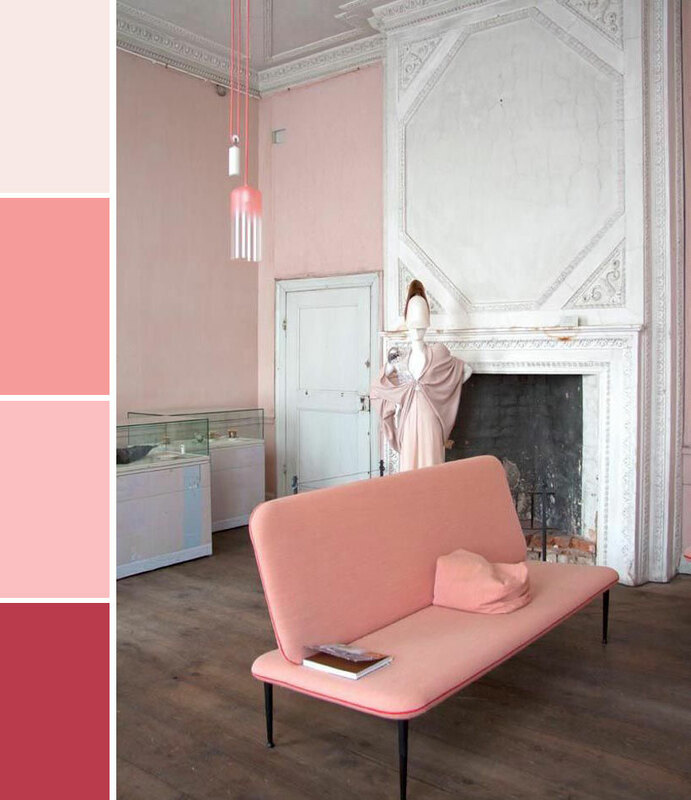 Typically, blush refers to the palest of pinks; the softest of rouges. While I do admit I prefer the lightest tint, I refuse to discriminate against a perfectly good tinge of rose. You know, it’s a decidedly feminine color, but somehow I see it as a kind of neutral. (This probably won’t be a popular opinion in terms of home decor once I’m living with a gentleman). Until then, I’ll just sit and ponder how, pray tell, I can incorporate the joy-inspiring color into my daily life. 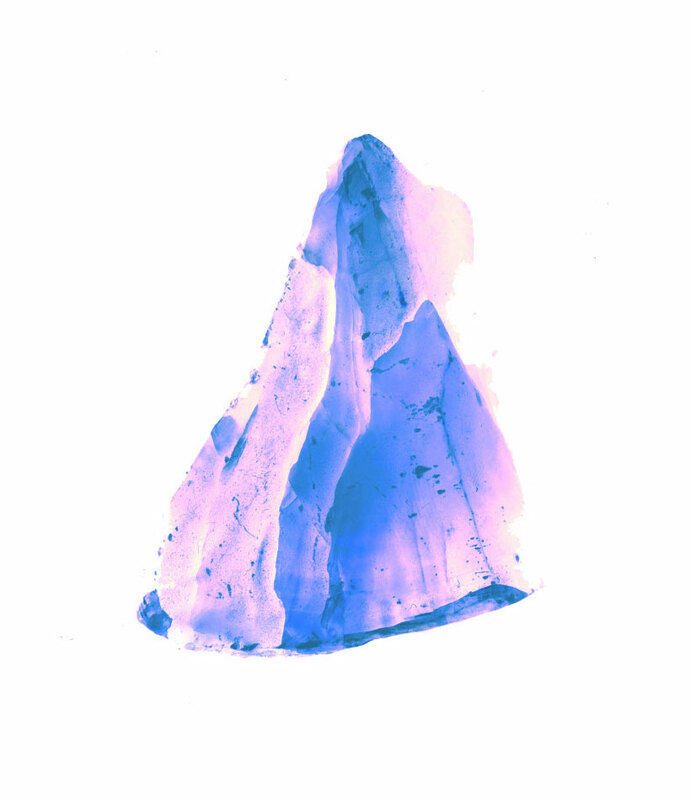 I do have a tiny feather pillow from Anthropologie that sits atop my bed in all its peach-toned glory, but the feathers have been shedding little by little and – dare I say it – its life might be coming to a premature end. In a passionate effort to emulate the high-gloss faux taxidermy pictured above, I purchased my own (genuine) deer skull with the intention of painting it the same color – or a little lighter (details on this project to come). For a few reasons (logistics included), I decided to ditch the pink and bought a can of metallic gold spray paint instead. Why? I’m still not sure. I think I convinced myself that gold better suited my ideal decor plan, it has greater longevity, and it is significantly more gender-neutral. Since my dose of blush was compromised, I need to find another way to scratch the itch. I’m thinking an upholstered chair might do. 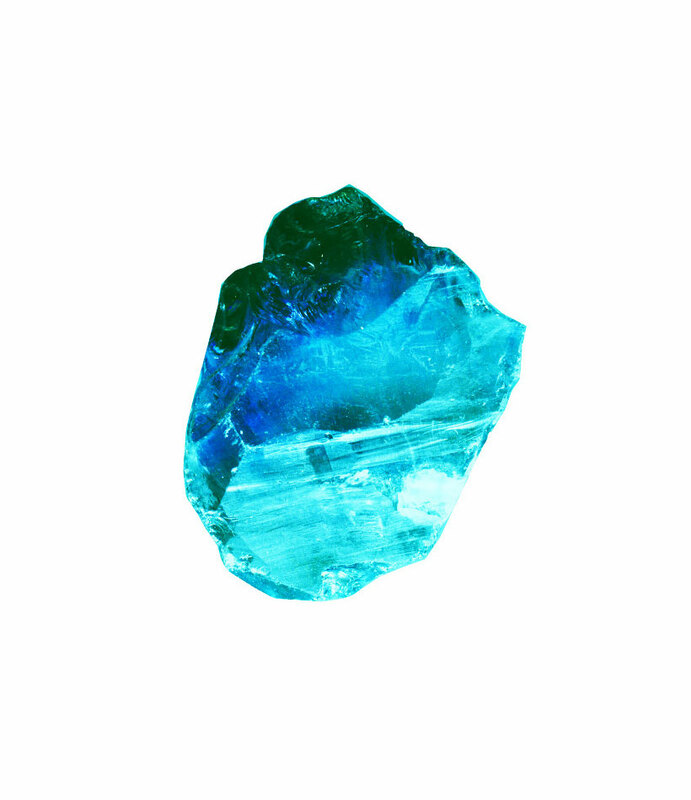 Two Minneapolis artists are on the same page with their raw gemstone-inspired creations; and I, for one, am happy about it. 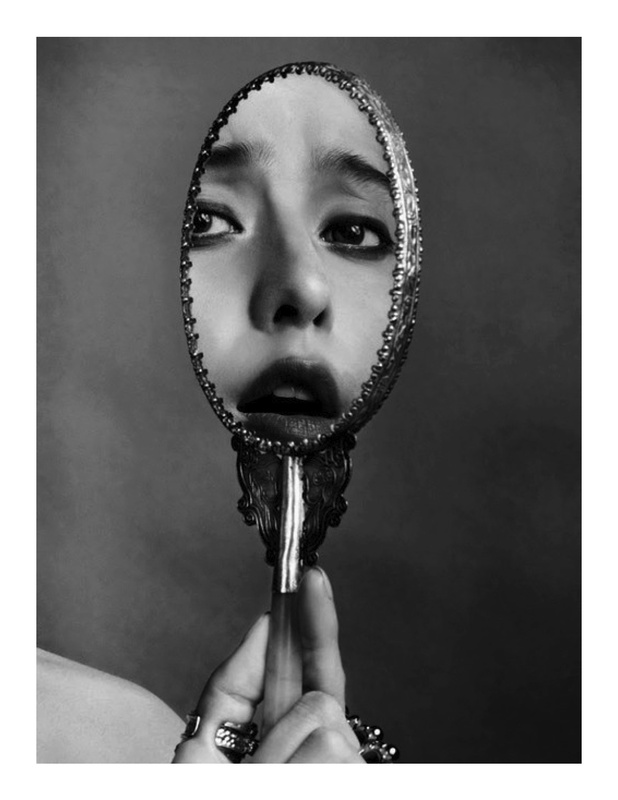 Jesse Draxler, a graduate of St. Paul’s College of Visual arts, offers a moderately dark but beautiful moment in his new(ish) set of images titled: ‘Imaginal Cells.’ The jagged minerals that mask the lovely, feminine faces make for quite the juxtaposition. Somehow, it is extremely pleasing. 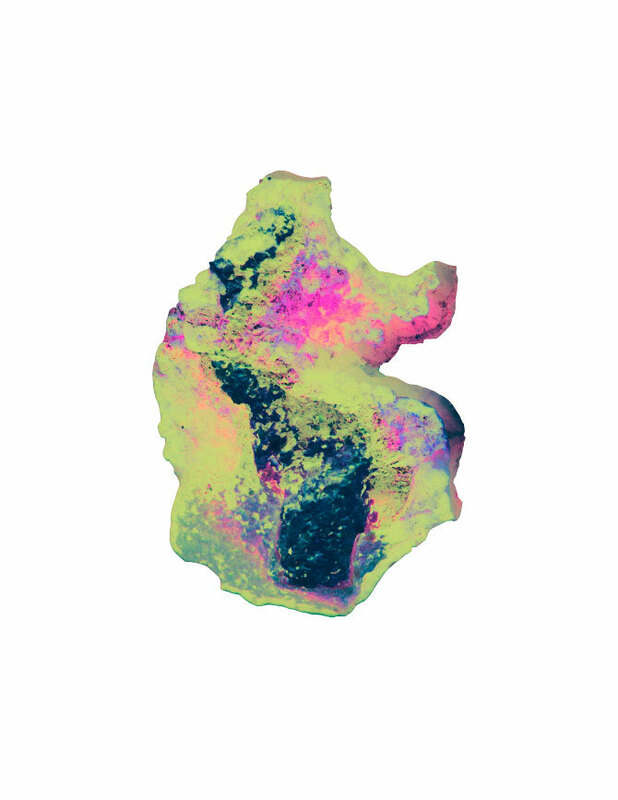 Joshua Ellias Manoles, a recent MCAD grad, mirrors the geometric sentiment with a collection of 14 psychedelic scanned rock images in his new exhibit, ‘SOLID.’ The colors are powerful, and the textures encourage a closer look. I’ll take two of each, thanks. 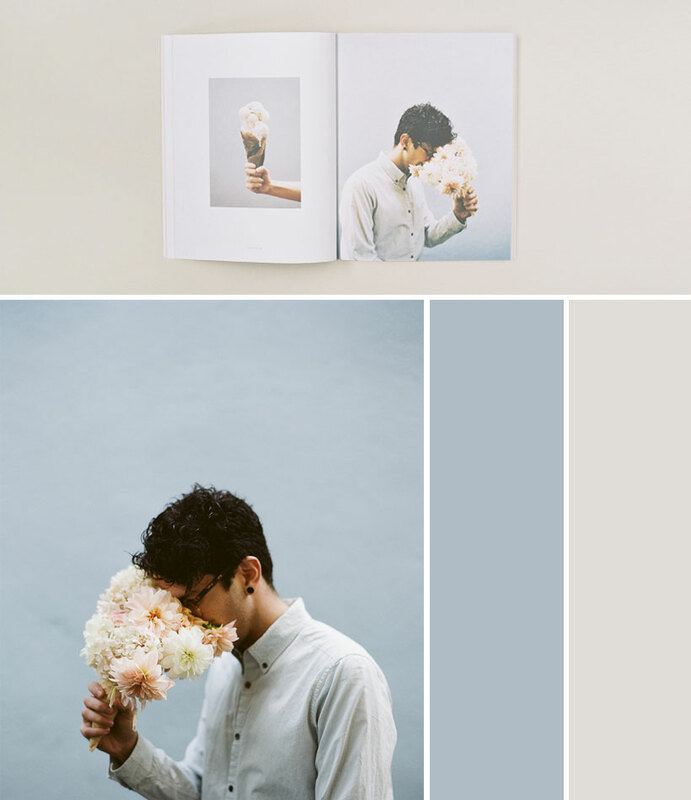 Kinfolk volume 7 is here! 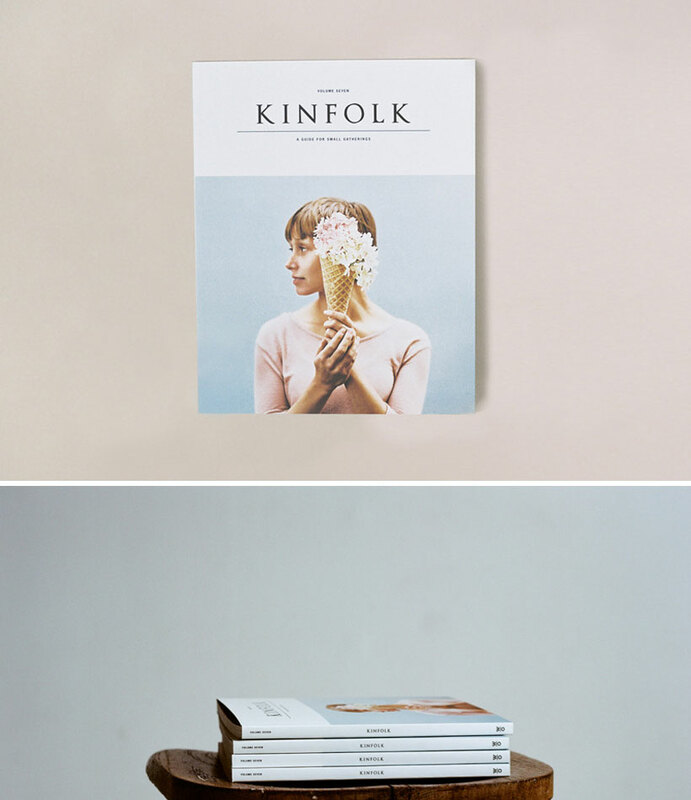 The new volume of Kinfolk is here, friends. I scurried over to my local Anthropologie to pick up a copy on Wednesday evening. I was especially excited about this issue because Brooklyn-based floral genius Amy Merrick played a role in one of the spreads. 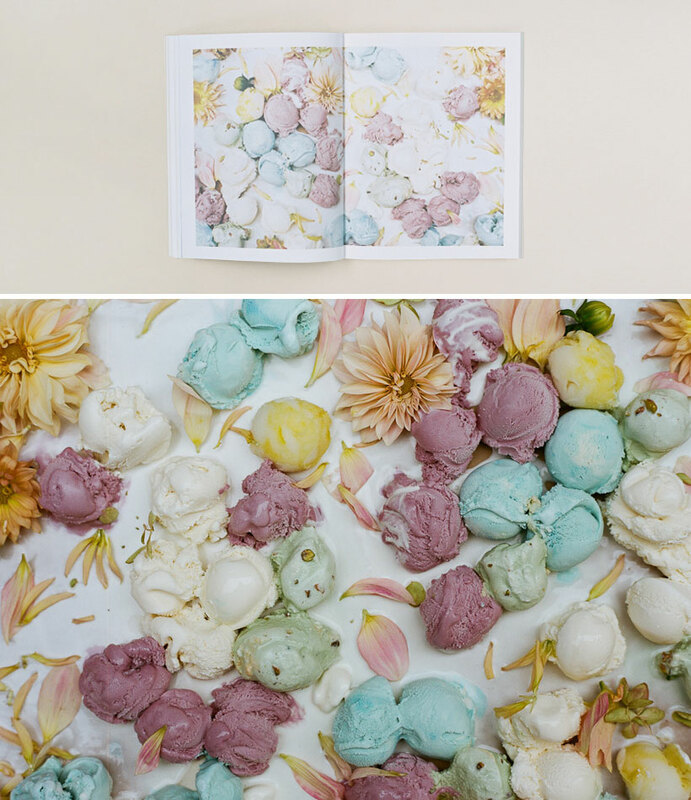 As an ode to ice cream, Merrick designed arrangements in freshly folded waffle cones that look good enough to eat. The flower cones are almost more appealing than the dairy treat, itself (which is saying a lot coming from an ice cream devotee). As I leafed through the pages, I was struck with a sense of lightness. It was as if I got to skip past the next couple of crummy months (melted snow, new snow, melted, new) and had the great fortune of landing right in the middle of spring, in all of it’s glory. 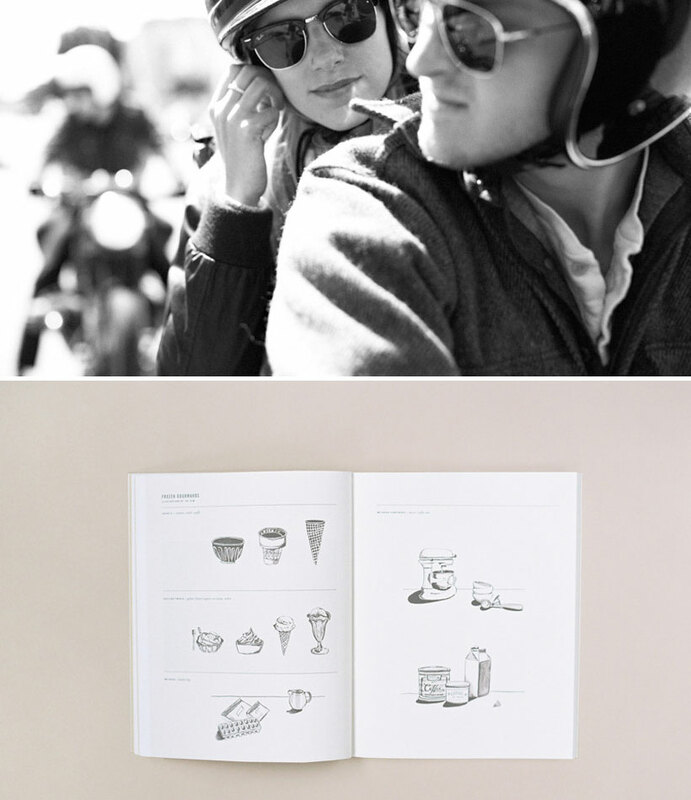 The people behind Kinfolk really have a gift for creating a sense of ambience with only paper and flat images as their vehicles. Each image feels deeply personal and projects an instant mood; each visual transports me to a distant memory or a future dream. 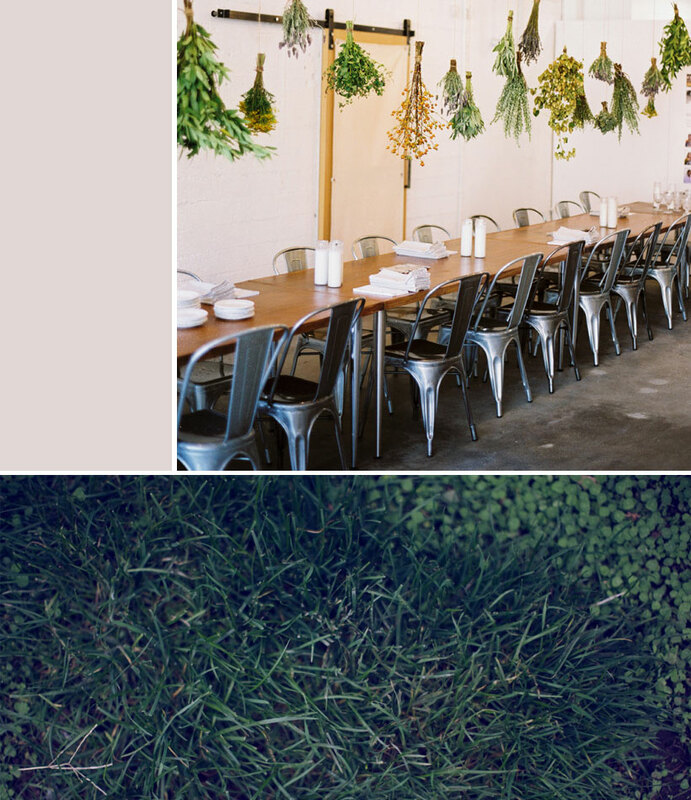 Kinfolk is down to earth, tasteful, and beautiful. It holds onto an air of subtlety that sets it so far apart from the glossy pages of its predecessors, traditional magazines (don’t get me wrong, I have love for them, too). Bonus points for matte pages that make the magazine feel like a million bucks, not $18. Nobody tells this to people who are beginners. I wish someone had told me. 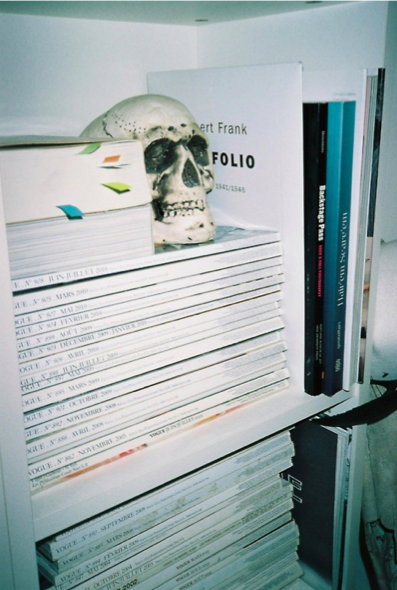 All of us who do creative work, we get into it because we have good taste. But there is a gap. For the first couple of years, you make stuff, it’s just not that good. It’s trying to be good, it has potential, but it’s not. 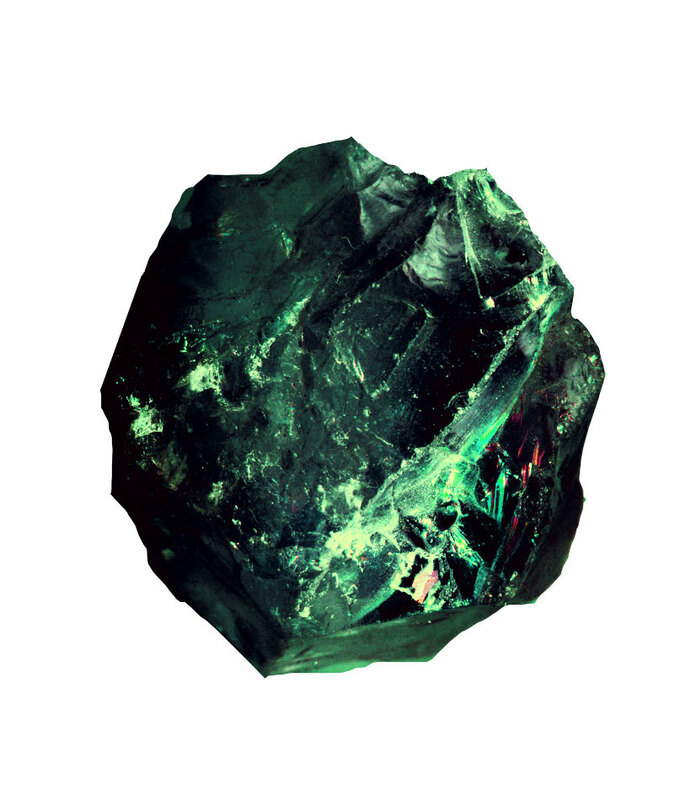 But your taste, the thing that got you into the game, is still killer. And your taste is why your work disappoints you. A lot of people never get past this phase; they quit. Most people I know who do interesting, creative, work went through years of this. We know our work doesn’t have this special thing we want it to have. We all go through this. And if you are just starting out or you are still in this phase, you gotta know that it’s normal and the most important thing you can do is do a lot of work. Put yourself on a deadline so that every week, you finish one piece. It’s only by going through a volume of work that you will close that gap, and your work will be as good as your ambitions. And I took longer to figure out how to do this than anyone I’ve ever met. It’s gonna take awhile. It’s normal to take awhile. You just gotta fight your way though. 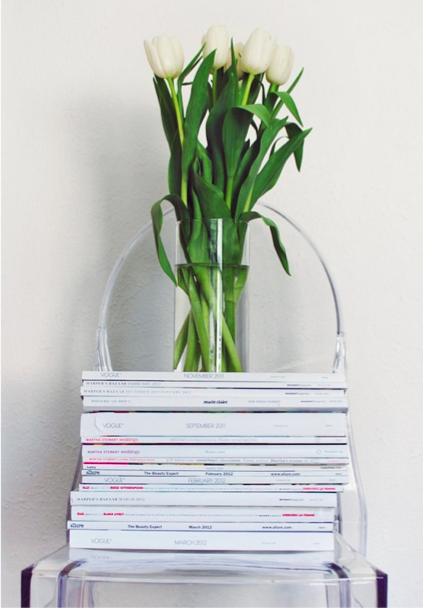 Stacks and stacks: Cool or contrived? It’s quite the dilemma. 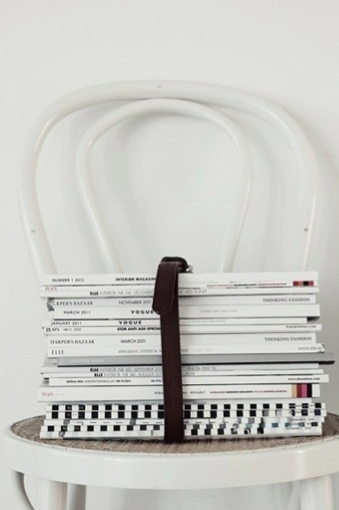 What do you do with already-read magazines? Toss them? Catalogue tears and dispose of the rest? Save them all without a second thought? I’ve done a combination of the three. With interior magazines in particular, I tear out inspiration pieces and file them in black books filled with crisp, clear sleeves (sourced from Blick). 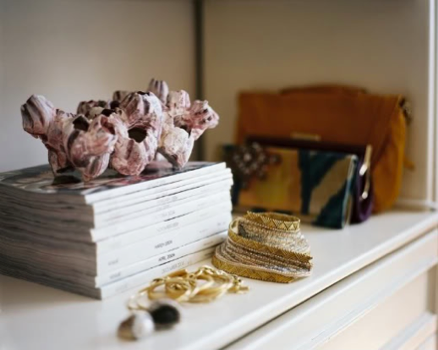 As far as fashion magazines go, I pretty much hoard my Elles and Bazaars until I can’t hoard anymore (hence, the topic of magazine stacks). And let’s be honest, the version of the story where I toss perfectly good, glossy magazines into the trash is fairly rare, if not non-existent. 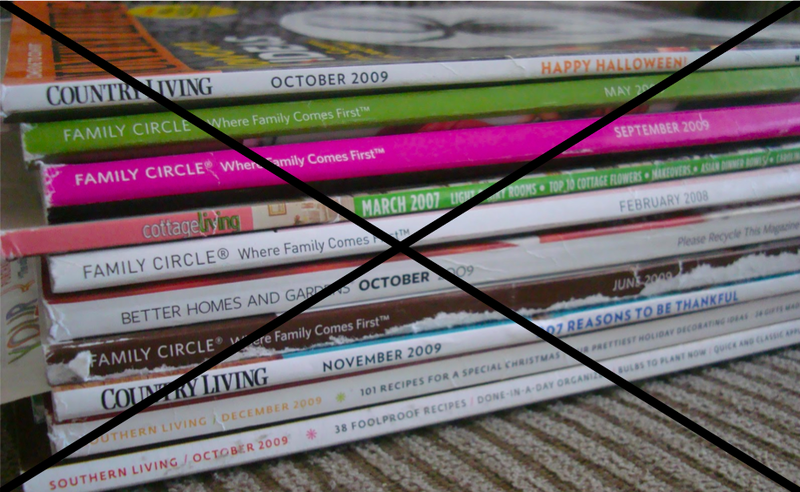 So, delving deeper into the discussion, are stacks of monthly bound publications just another source of clutter? 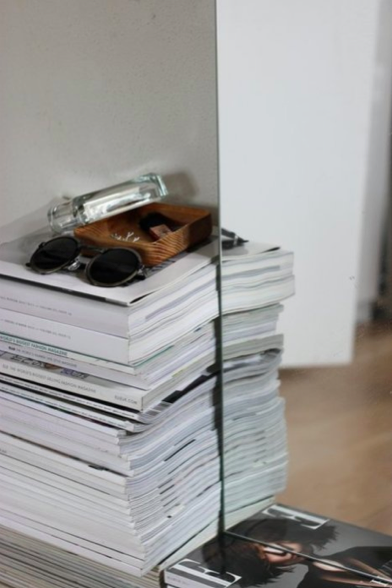 Or does the occasional, nonchalant pile reflect a creative and inspired homeowner? Since we already know I’m in the camp that believes in the stack, I should probably clarify by saying that I’m also a bit wary. In some circumstances, it can make a room look unkempt and scattered. It can also end up looking more forced and arranged than casually collected. 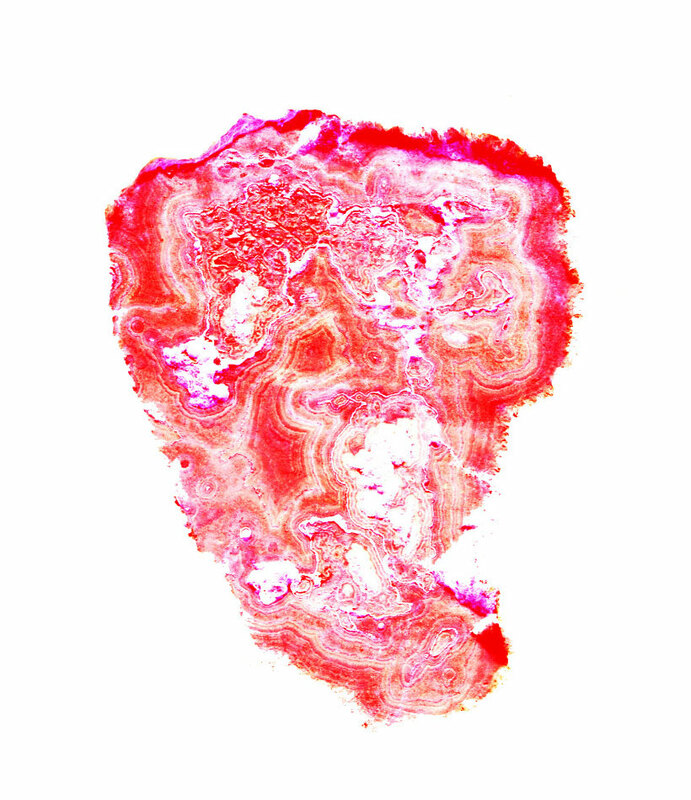 I’ve come to believe that the key, though, is maintaining continuity within your heap. 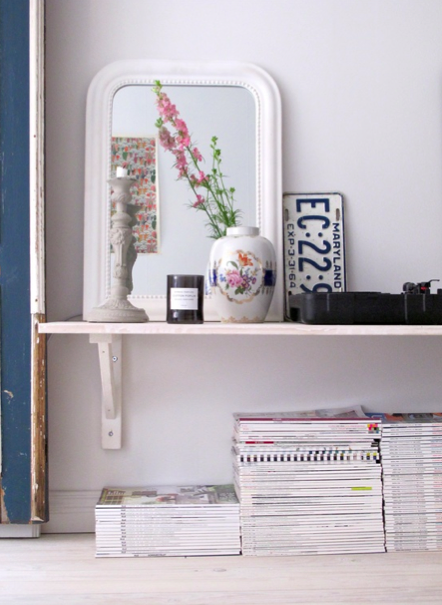 One mustn’t muddle the visual by mixing bindings of different colors and patterns. 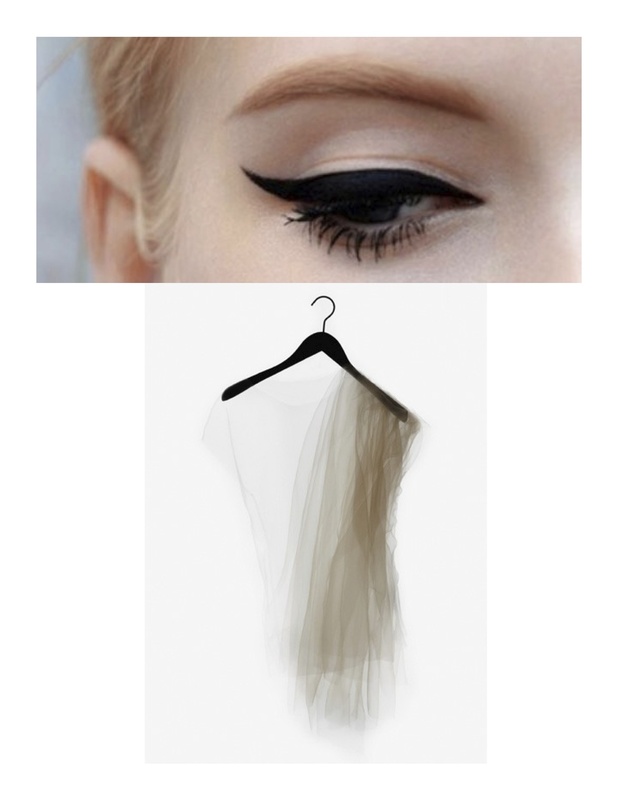 Instead, curate your selection to include only one or two colors (black and white are ideal). Maintain a simplistic visual amidst the madness (sticking to only a few repetitive publications might help) and you’ll be just fine. Hoard on, my sweets. You know you are watching a lot of Netflix when you resort to plowing through three seasons of an ABC network television show (think Australian, not American) in a few short weeks due to lack of options. The thing is, though, Dance Academy turned out to be a worthwhile time commitment. With just-cheesy-enough writing, the storyline follows a group of high school students attending the top ballet school in Australia (coupled with all of the ups and downs that accompany the lifestyle, naturally). I finished the series with a sense of longing to move and dance – a great compromise for an ex-figure skater, but so far I’ve been too intimidated to attend a dance class alone. Along with love and admiration for the art form itself, I have well-developed idealistic feelings for the attire that accompanies it. 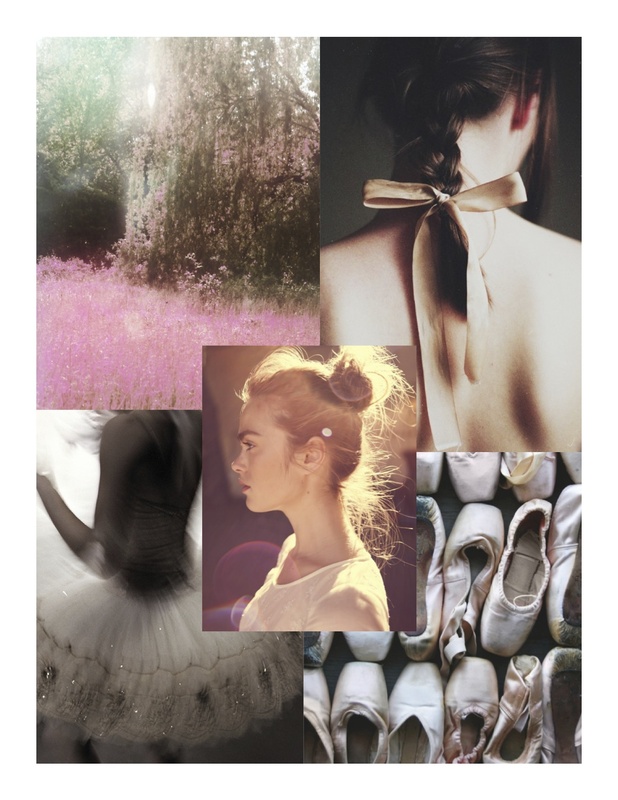 Even more than that, I am inspired by the romantic aura that is and will forever be synonymous with being a ballerina. Having just entered Remodelista’s newest “Pin to Win” contest (commandeering my Pinterest followers’ homepage feeds in the process), I figured that I might as well share my compilation in a post. 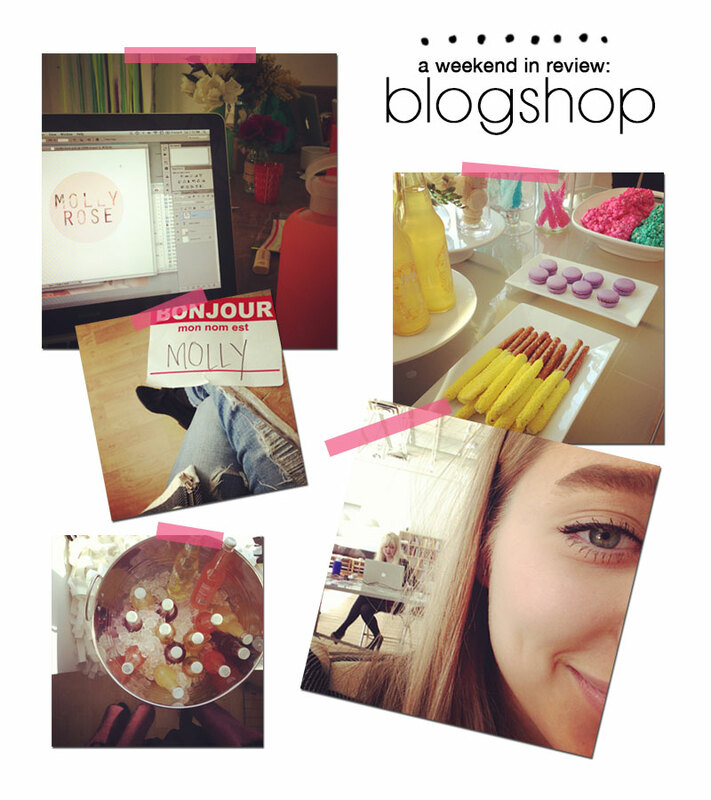 My color-story board can be found in its entirety here. For a condensed view, a selection of some of my favorite images are below.